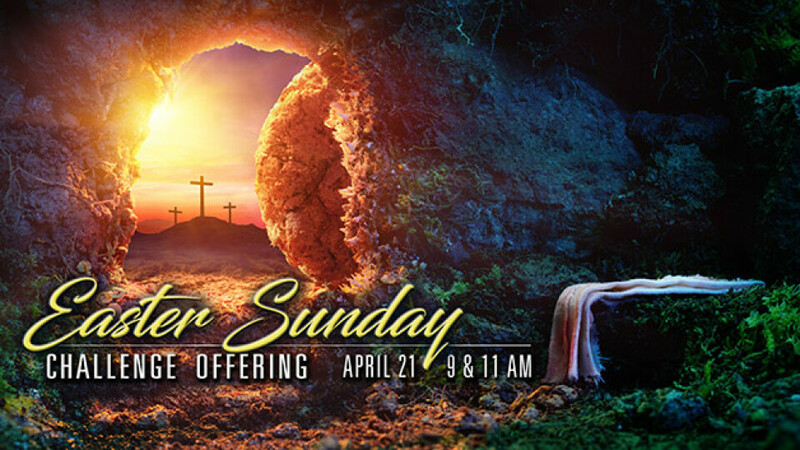 Join us for Easter Sunday on Sunday, April 21 at 9 or 11 am. There will be great worship and a life-changing, positive message. This will also be a special family Sunday! Bring your entire family and children. There will be special activities for the children. We will also have our annual Spring Challenge Offering. Pray and ask God in advance what you should pledge or give. Then, come prepared that Sunday.